On 28 March 2009 in the Jewish Culture Center in Kazimierz the special meeting took place. The participants were: Zbigniew Niziński from The Lasting Memory Foundation and the members of the Association of “The Children of the Holocaust”. The foundation representative delivered a lecture and carried out a presentation of photographs which referred to the trips following the traces of Jews in Poland. He also presented the accounts of witnesses to the acts of rescuing Jews from extermination. Guests had also a chance to hear about the places related with the history of Jews. 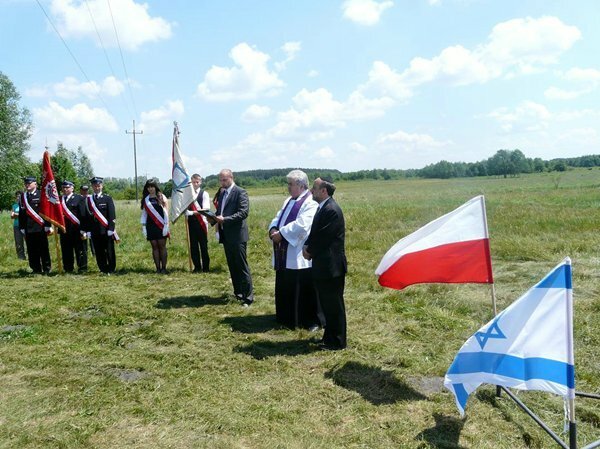 On 24 March 2009 in August Zamoyski Agricultural School Complex in Jabłoń (near Parczew) The Lasting Memory Foundation carried out a presentation concerning the common history of Poles and Jews. Among the participants were students, local inhabitants and the representative of Jabłoń Land Lovers Association. On 28 February 2009 the meeting with students of high school No. 104 took place. The Lasting Memory Foundation carried out a presentation concerning the history of Jews in Poland and the traces of Jewish culture in the nearest neighborhood. Students had a chance to learn about the way the local Jews lived during the war. They could also see the examples of Jewish symbols on matzevas. On 13 February 2009 in Stoczek The Lasting Memory Foundation organized a lecture and a special meeting for students of Władysław St. Reymont school. They had a chance to meet the witnesses to history. Special guests who participated in the meeting were: the representative of the Chancellery of the President- Mr Jakub Jaskółowski, the mayor of Stoczek- Mr Mieczysław Wójcik, the Righteous Among the Nations of the World- Mrs Jadwiga Gawrych, the families of those who rescued Jews during the war, Zbigniew Niziński from The Lasting Memory Foundation.